Gotabaya Rajapaksa has met with a team of top advisors to President Maithripala Sirisena in China, Colombo Telegraph reliably learns. China had invited a five-person team and had also invited Rajapaksa separately but had arranged a meeting of both parties. Colombo Telegraph reliably learns that parliamentarians Rev Athureliye Rathana Thero and S.B. Dissanayake as well as Sirisena’s confidantes Shiral Lakthillake, Harsha Kumara Navaratne and Dr Lalith P Samarakoon (Secretary General of the National Economic Council headed by Sirisena) had been invited, but that the team had left for China on March 28 sans Rev Rathana Thero and S.B. Dissanayake. What the parties discussed is yet unknown but speculation is rife in politics circles that the no confidence motion, possible outcomes and understanding between the SLFP and the Joint Opposition may have been discussed. The group is scheduled to return to Colombo tomorrow (4th) whereas Rajapaksa is on a longer visit and will be out of the country for several more weeks. Meanwhile another group of parliamentarians had also visited China on a ‘development exposure tour’ but the UNP MPs of the contingent had been hurriedly summoned back by party leader Ranil Wickremesinghe. I am not sure if the Speaker or any one else for that matter is clear on how the Parliament should be formed after the NCM voting. Those who are on either side of the NCM will have interpretations based on their political strategy. The reason being, the NCM last para clearly says its against Ranil and the GOVERNMENT. Hence if NCM passes the Government stands dissolved. But as per the 19th Amendment the Govt cannot be dissolved. This creates an issue to the Speaker. In my opinion the Speaker should inform the Parliament tomorrow that he cannot proceed with the NCM until he gets the opinion of the Supreme Court (full bench) as the NCM brings about a constitutional crisis. M&S is most corrupt politicians of all now.. It is very much clear . Listen to his talks before his election campaign in 2015 and now. He changed a lot . His dream is to hand over some power to his son. MR wants to hand change into his son. This a three way competition now . Executive President of a country is colluding with an accused war crime criminal in a desperate attempt to extend his political life line while the UN is still actively investigating the accused criminal. Future of a bankrupt country in the path of Silk Road is being manipulated by emerging two regional power players. Put on your seat belts and get ready for a bumpy ride. Folks, we are going to drive through a stormy weather condition with zero visibility. Get ready to embrace any impact. But we’ll be all right. Sillysena is only trying to save his own skin! Didn’t you hear that MR has got Files on Him from the Time he was in the MR Government? American Embassy is busy paying and buying off MPs to vote for RW. RW WILL WIN THIS VOTE. US comes out ahead again and closer to military bases. Sirisena will get egg on his mug. Fathima……………. How to punish this Murderer? Under Ranil’s watch he got the Central Bank looted within the first (40) days……………………. What complacency are you talking ? Mr. Clean became Mr. Dirty overnight…. Who imagined Ranil was corrupt? On the other hand Sirisena is out of his mind to get close to people like S.B.Dissanayake & Rathane Thero…. These guys should not be touched even with a barge pole. 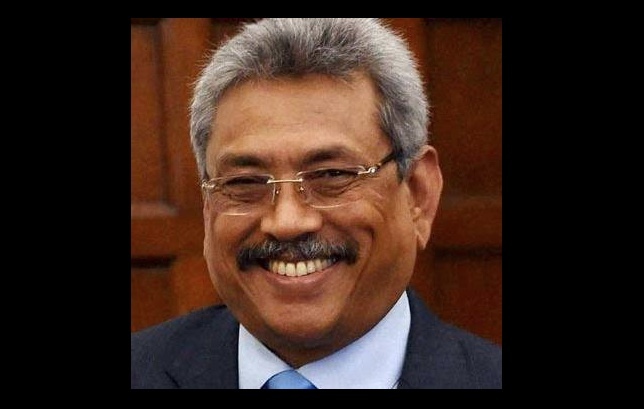 My 3 is indebted to Gota because it is Gota who saved Dudley Sirisena;s plush hotel built under the banks of Parakrama Samudhraya, There were severe rains in December 2014 Dudley Sirisena begged the then MARA government to open the floood gates (the Presidential election race was in full swing) they did not do it. Dudley begged with Gota and shrwed Gota ordered the flood gates be opened so that Dudley Sirisena’s hotel will be saved from flood waters. For this Sirisena family is eternally thankful to Gota and will do anything he asks. How many of us realise that we are all being taken for a ride! Corruption/nepotism is being legitimised – in fact patriots may indulge. In due course the ‘may’ will change to ‘must’! For political exigency the bond issue is bad but not the other scams. aapa President is trying hard for the second term. His brother is the one persuaded him not to appoint SF as the defense minister, had he been appointed the dirty B… war criminal would have been in the place he belongs by now. People like goma dayasiri and Dayan can have their pipe dream of making GR the next president. GR may have been a good mayor for colombo, he is nothing better than that . Dayan only licks the balls of Rajapakshe for anyting. Why to fall that deep as an educated person ? May be it is the hatred that DJ has been entwined from his childhood on. He is wihtout any reasons against RW. But we all know DJ is a looser. He is caught by his 4 walls for the last few years. Only his own self proclaimations left to him, no body with a little brain would praise the bugger but sirasa. Will the Speaker have the guts to live telecast the No Confidence Motion debate and the voting to the public? These days we talk much about the persons who had contested and who have been elected as members at the last local government elections. It says there were and are rapists, murderers, robbers of state funds and people who have court cases. We as a nation always let these things happen and later cry over that. With this background, it is not surprising to hear that persons with all the above said qualities are getting ready to contest for the highest positions in the country. Blunders after blunders , like the saying of LKY ,you need the Iron in you to lead otherwise don’t , also you need principles ,you need to be honest. Politicians should be paid large Salaries and over it if the want some business ,let them be transparent and honest , no harm let them help a Family member run a business but on equal terms without favouring. A miracle could have happened ,no ,none of them are sincere towards the nation.,sad we are going to be stuck and sucked until the Island that looks like a beautiful Mango fruit turn to a sucked mango seed. I use to work for a very powerful Arab owned Company in the gulf in 1984 . A relative of mine was the group GM ,he managed to bring in a world famous catering co , who was able to Win the contracts of clients that were run by the king’s Company ,after winning the contract the Prince used pressure to disqualify us ,guess what ?the Ministry of Justice intervened and awarded the contract to our company ,oh yes ,no one was kidnapped or murdered ,infact our company won all the other contracts and to date the are doing well and we still make fun of the Arabs ,because we are a nation prejudice ,with no caliber to investigate the truth and move forward with reality ,Superstition controls “almost” 90% of tye Citizens ,you go to Muslim Restaurants (not all ,but few). And if they know you are a Muslim ,but your women are not garbed in black ,guess what ? Superstition ! They add a lot if SALT and MSG over the cooked food before serving you ,because its bad luck to serve Muslims who are dressed like infidels. Black abaya is a must to prove you are Muslim, they consider you are a traitor and will bring bad luck . It happened to. my daughter ,even my dog refused to eat it. Wr had to throw way it ,so much of salt &MSG….So Superstition rules Buddhist ,Christian, Hindus and 100% sure most Muslims .I eat mostly at my Childhood outlet Perera &Sons and Chinese dragon now my BP has vanished huh. So how do you move Forward a superstitious people ?